Today there are three major forex market analysis types in the great world of financial markets. Forex is of course a subject, but you may already have some experience with these types of analyses on the stock market. Since the emergence of technical forex market analysis (late 20th century), there is much debate on what are the better and more successful it is. However, a real trader knows that he just these three forms can use to make a decision and not limits to analysis. In the next lesson we will discuss the specific types of analyses. One reason why many automatically controlled robots do not work in the forex market because they often only from a technical perspective watching. After all, how can you ever all traders as input parameters in a robot? A great trader once said that the analysis can be seen as a 3-legged stool. The 3 legs make the 3 forms of analysis. Once one leg is broken, the chair unusable and the trader in the long run optimally performed. A technical analyst is someone who patterns from the past looking through price-action or indicators that information and try to make a transaction. As an indicator before a large increase or decrease at a certain position was, the next time that the trader indicator that come about to act accordingly. A technical analyst has actually prefer that history repeats itself. He recognizes certain patterns and how they should respond to this. Technical analysis has been made large turnout at the end of the 20th century. Traders began to draw lines that we are trend-lines call. The term” self-fulfilling prophecy,” is found to some extent, because if everyone below the trend line is going to buy the price will therefore actually go up. A technical analyst is thus necessarily a graph and necessary by the great popularity there is a real science arise surrounding this phenomenon. 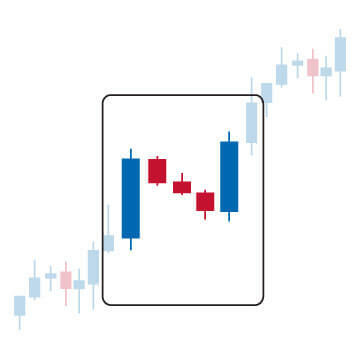 The price evolution of a graph is now only shown in candlesticks, learn about later. Also on indicators will get soon a lot to learn. Technical analysis seems to be a very valuable source of information, but there are many pitfalls. For example you can customize your own indicators allowing you to receive two different signals (long and short). Also, you can see some more indicators to interpret. This form of analysis is by far the oldest way to analyse the financial market. If you look at forex fundamentalist to the underlying economics of a currency. In USD look therefore to the condition of the U.S. economy. You can economy in several ways. There are political factors, but also simple numbers such as unemployment, housing and inflation. Someone economics at school has already had a pretty basic, but insight is needed in this type of analysis. Fundamental analysis makes extensive use of the so-called supply / demand principle. The demand more than supply the price rises and the money of course vice versa. You look at the EUR / USD so for mutual supply and demand ratio. They prefer to invest in Europe or in America in this pair is an important question. You do not have an economic expert to fundamental analysis to apply. What is important is that you understand what kind of influences certain events on the economy of a currency. A debt crisis in Greece, for example, bad for the Euro, but promising statement by Trichet – you know him who is chairman of the ECB – which announced a rate increase, the currency so again in the positive set. In forex we are always looking at least two currencies a currency pair. With fundamental analysis also. Never make the mistake of thinking as the example of the Japanese economy goes bad, the USD / JPY should be increased, because maybe the situation is still worse in America. Later we go deeper into fundamental analysis. Such as interest-rates of central banks and the major economic data for individual currencies. What is especially important is that you why? question understands. Fundamental analysis is necessary when trading around the outcome of economic data. Later you learn everything about. It is important that you understand that if one economy is doing better than another, the currency of the better economy is worth more. Besides technical and fundamental analysis, there is a still a form of analysis. Namely some lesser known sentiment analysis. However, we know this form already and is perhaps one of the first forms of analysis. If we are to believe technical analysis is all the market information that is available in the quotes processed. But what does a trader doing here really? And is this statement from the technical side it? As the term” sentiment” suggests we look at how traders behave and why not all the information available in the course is placed. How can the shepherd (profitable trader) else profit? Precisely because he is leading the sheep and therefore know something others do not know. A professional trader said recently that the forex market can be seen working as a” social network”. A very complex, large and massive network with lots of nonsense and noise. Someone with, let’s say”, 3000 friends can be almost impossible to check how his best friends go. There is a surplus of information for him and therefore difficult to see how it goes with that one person. Suppose all market information suggests that the Swiss Franc is rising and your trading strategy which you have worked five years, also gives a bearish signal for example the EUR / CHF. Even then the market will rise as traders buy more than simply sell. This is basically where sentiment analysis is about. Analysing traders themselves. A good example in practice is the Euro-crisis times around 2010. Although the PIGS countries had large debts and there was a lot of unrest and uncertainty in the Eurozone, the EUR / USD with nearly 30 cents (3000 pips). Apparently felt that the traders that the Euro should be worth more. Traders who had pure fundamental analysis used here were hard crashed. Later in our school we still deeper and we teach you how sentimental analysis can and should use. 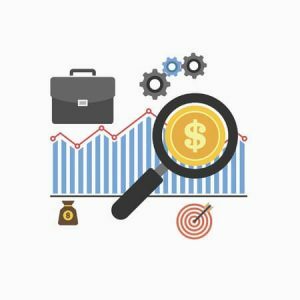 Which form of forex market analysis is the best? If you ever have a seminar attended a” professional” trader is you may have noticed that this professional case only one side approached. On the internet you will sometimes” experts” full bombarded with technical charts or fundamental stories. Technical, fundamental and sentimental analysis are just three types of analysis. There has never been proven that one is better than another. What is a fact is that you, you should focus mainly on the type of analysis that you most lies. Try to think in percentages, for example: 50% technical analysis and fundamental analysis and sentiment both 25%. You may namely as serious trader is not one of these types of analysis neglect. The three forms are namely interrelated. The fundamental factors determine the sentiment and technical analysis brings the sentiment then various methods in card. Earlier we spoke about three-legged stool. Now you know why you can not just 1 chair may omit. No fundamental analysis means you really do not know why traders do what they do. No sentimental analysis and you will never know how traders will react to certain events. And finally, if you have no technical analysis applied will never learn to recognize patterns in prices and / or the right way trades places. Let it in an example. Suppose there is the perfect entry point to go short on the EUR / JPY, all your indicators give you the green light to trade opening. Confidently and with the idea that you have earned all the money you open the trade. Then interferes the Bank of Japan and the yen will depreciate. Suddenly you see that your stop-loss is achieved. Not only does this loss, but also loss of confidence in your own system. A fundamentalist probably saw this coming and a sentimentalist knew exactly how this went traders react. Combine these two forms of technical analysis and you are ready to own a real trader. Meanwhile, you have a nice basic knowledge built through our fores school. From now on we go much deeper into all the aforementioned topics. First we train you to be a true technical analyst to be. Not only can you impress the ladies at a BBQ with your tough talk, but you learn to actually what indicators are and how they should be used. Before you can seriously start trading you need to understand a few things about forex trading. There are many forex traders who just start trading and sometimes totally unfounded assumptions which have later a rude awakening. All real and therefore all traders lose money from time to time. Of all the traders out there walking around on earth, there is only a select group that is profitable; approximately 10%. The remaining 90% is consistent loss due to the failure to draw up a strict plan, money management, discipline and most importantly a good mindset. This does not mean that you are very likely not profitable trader, but you are correct that there are many challenges ahead. The profitable 10% sometimes has a lesser month where it just anything goes wrong. Because the threshold for trading still lower to a halt, more and more people with lower incomes occurred. In itself there is nothing wrong with it, but like poker, this skill game an addictive factor. Do you after months of demo trading the idea that you’re ready, but still lose money you can not really miss it, stop! An important aspect of trading, which by definition impossible, emotionless acting. We can, however, recognize our emotions and just react. Are you afraid to lose your money because otherwise you can not pay the bills, then you trade under the emotion of fear. You probably know the sales pitch: deposit for $ 50 and you can act as if you have $ 10,000. In theory this is true, but once you open and trade of $ 10,000 you have been bankrupt by a decrease of 50 ($ 1 per pip). You always need margin and good money management to become successful. A golden rule in forex is, if you get 10% profit, you also had 10% loss run.